Dennis Gaffin has worked, conducted research, and published in the areas of ecological, medical, and legal anthropology as well as in the anthropology of religion. Before and during his university teaching, he has worked as an administrator, evaluator, program developer, and consultant for governmental and non-governmental organizations. He conducted ethnographic fieldwork on the Faeroe Islands and in Ireland and has taught in India for the Himalayan Health Exchange. 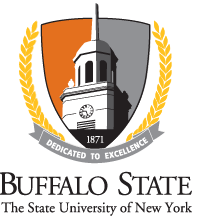 He is also a member of the graduate faculty affiliated with Buffalo State's Great Lakes Center for Environmental Research and Education. His publications include the books, Running with the Faries: Towards a Transpersonal Anthropology of Religion and In Place: Spatial and Social Order in a Faeroe Islands Community, as well as journal articles such as "From Bugging Out to Chilling Out" (Culture, Medicine, and Psychiatry), and "Offending and Defending US Rural Place" (Human Organization).